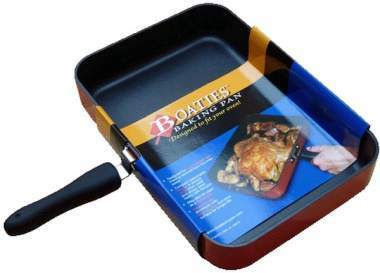 Introducing the Boaties Baking Pan designed for one-handed use making removal from the oven easier! 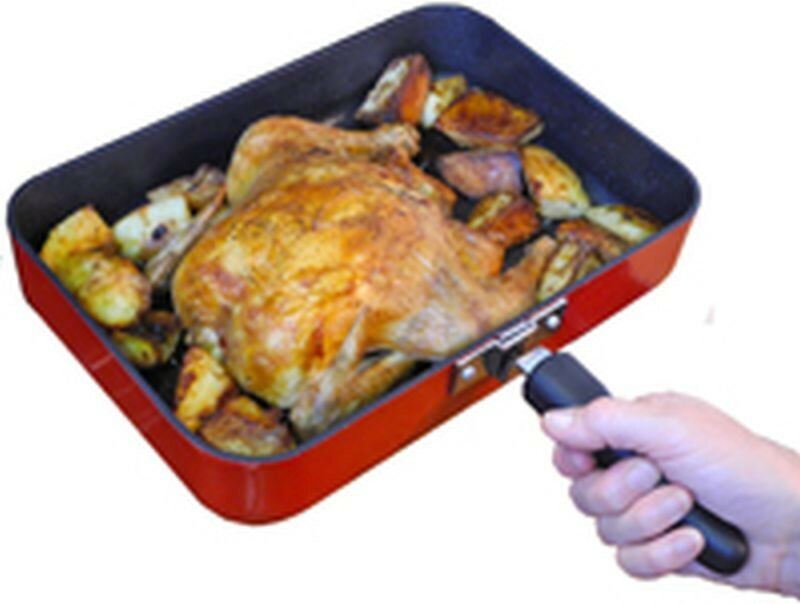 Its compact Detachable Handle is always cold when used and stows away neatly with the pan. 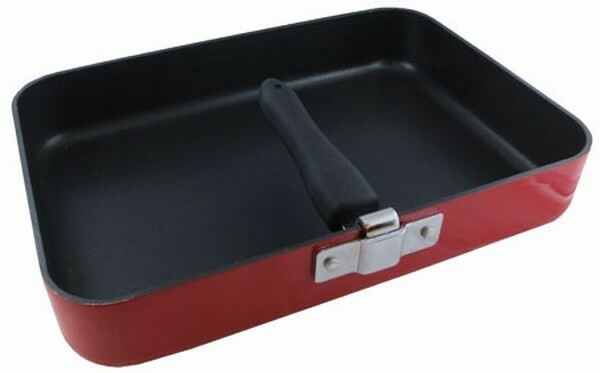 Designed for both Oven and Stove Top use, essentially doubling up as a fry pan! Now with one pan you can roast - braise and bake for the whole crew!